Starring: Casey Affleck, Kate Hudson, Jessica Alba, Simon Baker, Bill Pullman, Ned Beatty, Elias Koteas, Tom Bower, Brent Briscoe, Jay R. Ferguson, Liam Aiken. 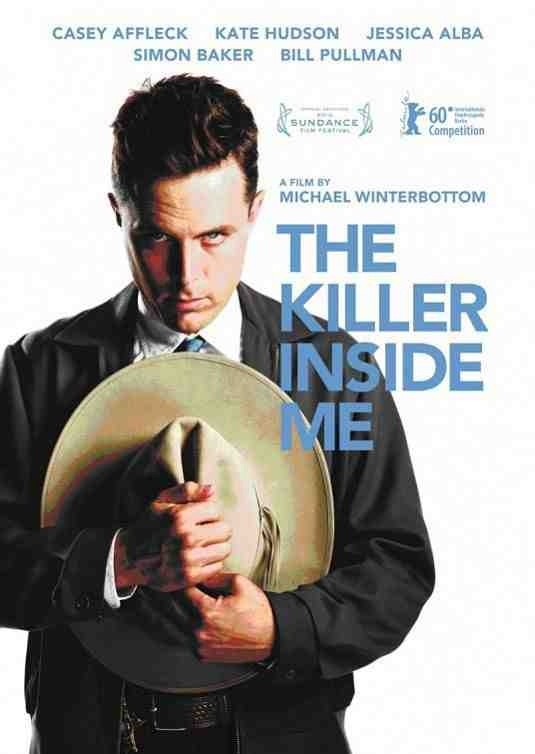 After Casey Affleck’s performance in his brother Ben’s directorial debut “Gone Baby Gone” and his Oscar nominated turn in “The Assassination of Jesse James…”, he’s fast proving that he is the brother with the acting chops, with yet another excellent delivery in this brutal film-noir, based on Jim Thompson’s novel. Deputy Sheriff Lou Ford (Affleck) is an all round clean cut, impeccably mannered, law enforcing kind of guy. At least that’s on the surface. Behind his steely-eyed glare lurks a undercurrent of violence which displays itself with outburts toward the women in his life as he connivingly orchestrates the death of a local tycoons son and the woman he is eloping with, while trying to maintain his facade. Michael Winterbottom has always been an interesting and controversial director and he yet again draws the attention of the finger-waggers, with a violent and sadistic sociopath as his protaganist. With very violent scenes, this film is hard to watch at times but still captivating nonetheless, thanks to an exceptional cast. Jessica Alba and Kate Hudson both add strength and depth as the Deputy’s prostitute mistress and fiancee respectively but still don’t stand a chance with the duplicitous nature of Ford’s psychopath. He’s cool and calculated and Affleck plays it to perfection with a disturbing and disdainful execution. Very unsettling and graphic viewing but on the whole, it’s a quality film and despite a slightly weak finale, it’s still a fine addition to the film-noir genre. 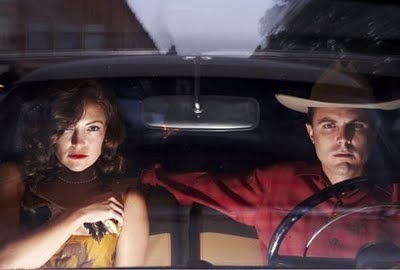 This entry was posted on January 24, 2012 at 11:01 pm and is filed under Crime, Drama, Film-Noir with tags 2010. You can follow any responses to this entry through the RSS 2.0 feed. You can leave a response, or trackback from your own site.